Shanghai is ideal for a city break packed with shopping, eating out and plenty of entertainment. It is China’s largest city, with over 24 million inhabitants which means it is naturally packed with towering skyscrapers. However, look past the buildings and you will see the city is much more than an urban business centre. The city boasts some of the best shopping in the country, it’s a popular pastime with the locals. You will be blown away by it’s culinary delights, from sizzling street food to high end restaurants serving cuisines from around the world. This modern, cosmopolitan city is often called the ‘Paris of the East’ thanks to its tree lined streets, glamour and westernised areas. Here you will find an intriguing blend of tradition versus modernism, and oriental versus western, which gives the city a special charm. 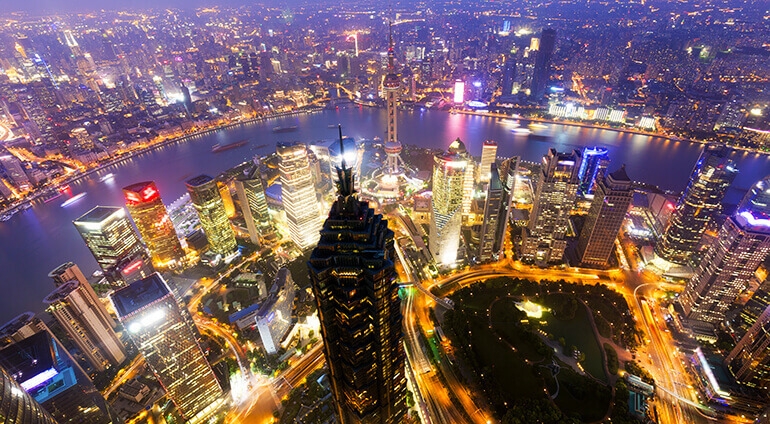 Shanghai boasts cutting edge technology, impressive architectural design and unique multicultural influences. Meander through some of the world’s tallest skyscrapers, grabs some drinks at one of the trendy bars or wander through alleyways lined with traditional houses. There’s a different surprise around every corner in Shanghai, book a city break to remember in this striking modern city.